We’ve compiled a brief list of the questions our customers have most often asked us. Of course, if there is something you want to ask please do not hesitate to call us or contact us via the website. What home improvement products do you offer? At Aspire Bifolds, we provide more than just the best bifolding doors, we also supply and fit the latest generation of replacement windows, contemporary sliding doors, stunning orangeries, front doors and more. All our products are from the best-known brands in the UK and sourced directly from the most established, quality-focused and expert manufacturers. We provide the finest thermally insulated aluminium and the latest in virgin PVCu. We operate mainly in the Greater London, Surrey and Kent areas although we do work further afield as well. We can provide windows and doors as replacement products or as part of a new extension or building project. If you choose our Origin Home range of bi folding doors, entrance doors, aluminium windows, front doors or garage doors, you benefit from an industry leading 20-year guarantee. No other suite of home improvement products has this length of warranty. 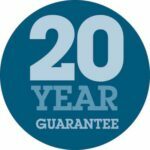 Our other products come with a comprehensive 10-year warranty. You will find our Company registered with Home Improvement Protection Ltd, for your peace of mind. Contact us, and we will visit you to provide a quotation. Aspire Bifolds is all about honesty, professionalism and transparency. Our visit to your property will be brief to cover an understanding of your requirements and talk through your options. With some products, it is possible to provide you with a quotation there and then. In other cases, we will come back to with a detailed quote. We never pressure you into committing there and then, we do not operate too good to be true discounts, incentives to buy immediately or any other incentives that others may use as pressure sales tactics. We will quote for your products and leave our quotation with you for your consideration. We choose to supply the Origin bifolding door, one of the best bifolding doors on the market. The Origin door uses an 8 point locking system and has several features that boost its security. Doors have chamfered linear bolts that have a deep throw, high compression when closed as well as the deepest throw bolts on the market. All of these components keep your new bifolding doors locked, tight and weather resistant. Our doors re also independently tested to the latest security standards. At Aspire we offer you the upgrades to meet Document Q (the latest security standards) as standard. Laminated Glass, ultimate security cylinders and other features we provide as at no extra cost. Why should I consider aluminium and not PVCu for my bifold doors? Aluminium for bifolding doors, in particular, is regarded not just by us, but by most home improvement professionals as the ideal material for a bifolding door. PVCu is a weaker material and even when reinforced internally with aluminium or steel, still needs to be thicker than an aluminium bifold for rigidity and strength. Aluminium is stronger than PVCu meaning frames are slimmer with no compromise on security or performance. Also, aluminium bifolds give you less frame, more glass and a better appearance. The strength of aluminium also means that door hinges can be smaller and less intrusive while retaining all their security features. The threshold on PVCu doors is also thicker. Aluminium bifolds can be made bigger and taller than any PVCu door, giving you less frame and more glass. Finally, PVCu expands two and half times more than aluminium in the heat. PVCu doors are prone to sticking in summer temperatures, and prone to reliability issues. We recommend aluminium for bifolds, but our PVCu products are entirely fit for purpose elsewhere in the home. Do I need planning permission to install bifolding doors? We always recommend you talk to your local authority, but fitting new bifolding doors does not usually require planning permission. If your property is in a conservation area or subject to planning restrictions, again we recommend you check beforehand. At Aspire, we have worked with many homeowners in the Greater London and surrounding areas, contact us and we can talk through planning for your bifolding doors in person. What size can I have my bifolding doors? We custom-design your bifolding doors to your precise dimensions and specifications. As a general guide door panels can be as narrow as 400mm right up to 1200mm wide. For the height, you can create folding ‘windows’ at 1000mm high right up to 2500m high doors. If you would like doors that are taller still, contact us as we can achieve this as well. What designs are possible with bifolding doors? All our bifolding doors are bespoke to your exact sizes, colour choices, specification and requirements. We can accommodate any need you may have. In general terms, bifolding doors can open in or out, slide to the left or the right as well as both sides too. You can have any door from a single door right up to a ten-panel door set and even more panels if your building needs it. A dimension refers to the physical sizes of your doors, and the configuration is how they are to slide, fold and open. We work with you to ensure there is no delay to your building project and co-operate with your builder and other professionals for a quick completion. A common frustration with new extensions is that your builder has completed the opening and you are left waiting for your bifolding doors. Another reason we use Origin is that they can make their doors to suit you. Where many other suppliers in the industry rely on a 6-8 week lead time just to obtain the product, Origin work with us to make your doors when you require them. All we need to do is cooperate with you to arrange an installation date that works for all parties, and you will have your new bifolding doors as quickly as possible. For windows, we offer varying lead times to suit the product as windows take a little longer because of the vast number of profiles, options and designs available.